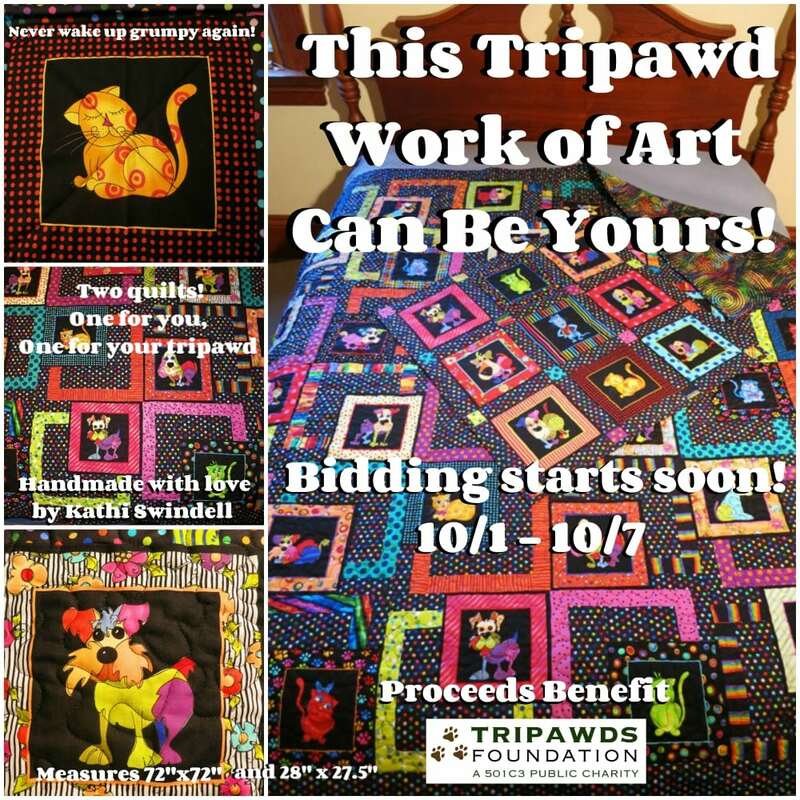 2018 Tripawds Quilt Auction Starts Soon! Back by Popular Demand! The first pair of handcrafted matching pet and people quilts raised more than $550 during the 2016 Tripawds fundraising auction. Your chance to bid on another handmade masterpiece is starting soon! Mark your calendars for Monday, October 1st when bidding begins on this set of matching quilts made with love by long-time member of the Tripawds community. Auctioneer: Link to live eBay listing will be shared October 1st! 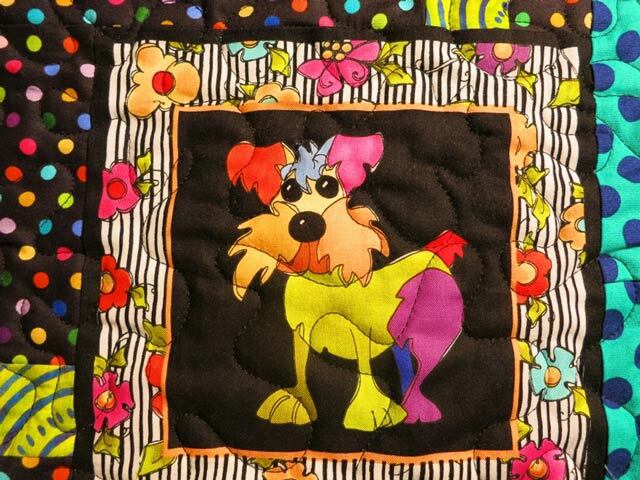 Set of two gorgeous matching handmade patchwork quilts for you and your dog or cat! Handmade with love by a long time Tripawds community member and supporter! 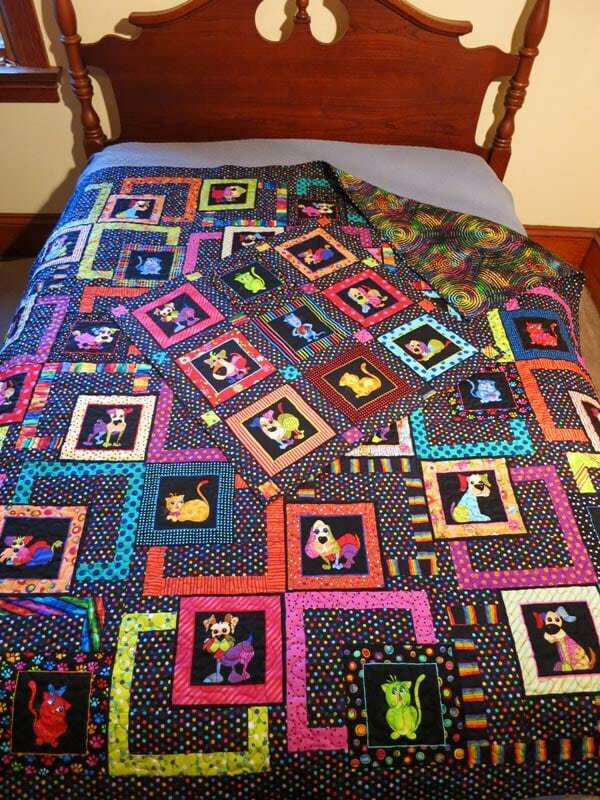 These matching quilts feature colorful three legged dog and cat-themed patterns. The back is a colorful print pattern. 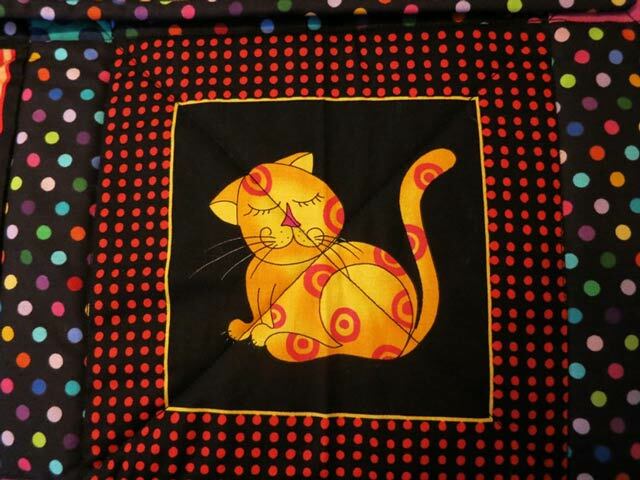 Use the small quilt for your dog or cat, a throw to keep your feet warm, or display it as a wall hanging. This fun quilt design is guaranteed to put a smile on your face every morning! You Get Two Quilts: One for you and one for your furry friend! Dimensions: The smaller quilt measures 28″ square. 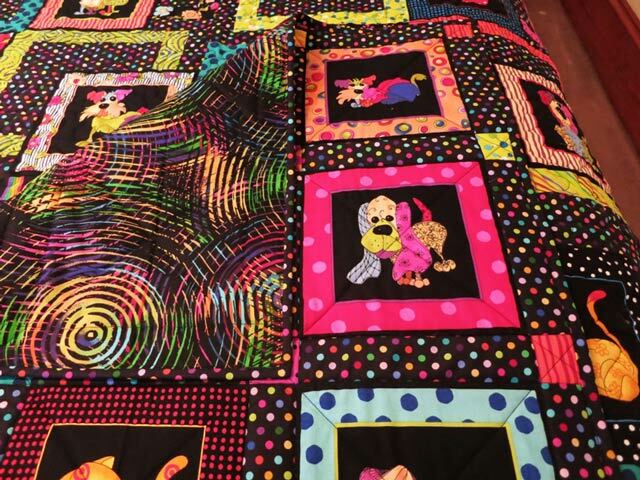 Large quilt is 72″ x 72″ – perfect as a Queen bed topper or would also work well for a full or double mattress. NOTE: Hand made with love (and a lot of skill!) 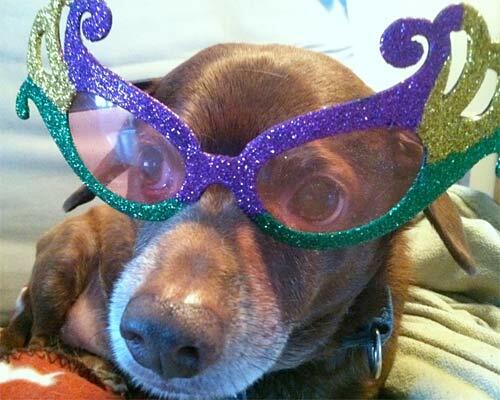 by long-time Tripawds member Kathi (murphsmom). Domestic (U.S.) shipping included in minimum bid, international winners will be notified regarding any applicable additional fees required for delivery. Auction Opens Monday, October 1, 2018! 2018 Tripawds Auction Now Live!